Infotypes are the information units that are used to enter master data. If you want to group the related data fields together and if you want to get some information with in a structure and to store data for specific period of time you have to use infotypes. If you want to create an object or if you want to create the department you have to use Object Infotypes. If you want some user to define the relationship between objects you have to use Relationship Objects. The info type that is used to add text explanations to different objects is known as Description Infotype. If you want to apply a staff flag or department flag to organizational units and positions you have to use Department/staff Infotype. If you want to maintain the tasks and to categorize the different task you are maintaining you have to use Character Infotype. 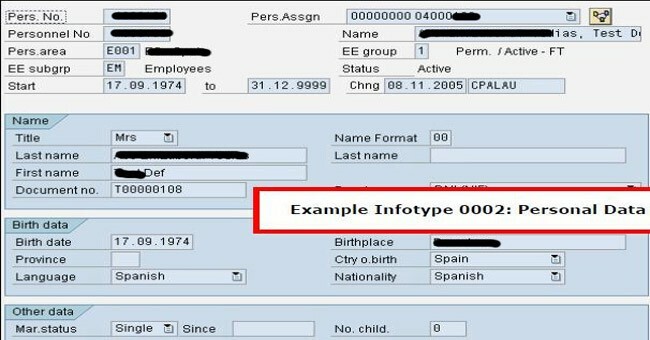 Sometime a user wants to identify the restrictions that are applicable to employees that are assigned to a work center you have to use Restrictions Infotype. If you want to permit flagging of the vacant positions you have to use Vacancy info type. If you want to assign cost centers to objects and allows you to enter default settings that will be helpful for payroll accounting you have to use Account Assignment Infotype. If you want to identify the health requirements employees must meet in a particular work center you have to use Health Examinations infotype. If you want to find the average number of hours work for organizational units, work centers or positions you have to use Work Schedule Infotype. While developing various scenarios for personnel costs when personnel cost planning module in PD is active you would have to use Cost Planning Infotype. If you want to create and maintain relationships between SAP Organizational Management (SAP OM) objects and the organizational management objects i.e. organizational unit, position, job and work center you have to use SAP HR Organizational management Object infotype.